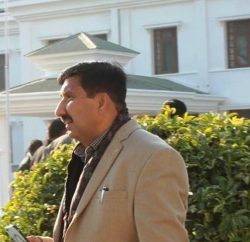 Agnihotri said that the State Handicrafts and Handloom Corporation should ensure quality in their products so that they could compete in open market. 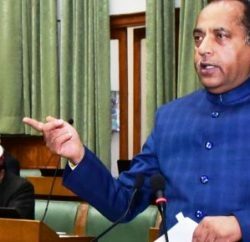 He said that the present State Government under the leadership of Virbhadra Singh was committed for the welfare of local artisans and craftsmen. He said that the Corporation should lend a helping hand to promote local artisans, especially in rural areas. Dr Lalit Mohan, Managing Director, State Handicrafts and Handloom Corporation Limited conducted the proceedings of the meeting. 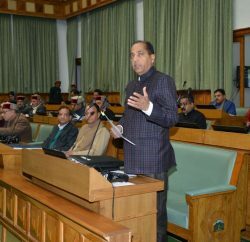 Umesh Negi, Vineet Vij, Shashi Sharma and Rakesh Dutta, Non-Official Directors on the Board of Director of the Corporation also gave their valuable suggestions. Dr P.C. Kapoor Additional Chief Secretary, Industries, Mohan Chauhan, Director Industries, Rajesh Sharma Special Secretary Finance were present in the meeting.